This page contains links to external websites and to local pages addressing Radio Frequency Identification (RFID) Technology relevant to transportation and storage of radioactive materials. Some of this material is available only in Adobe Acrobat format. If you do not have the Acrobat Reader and wish to download it, click here. 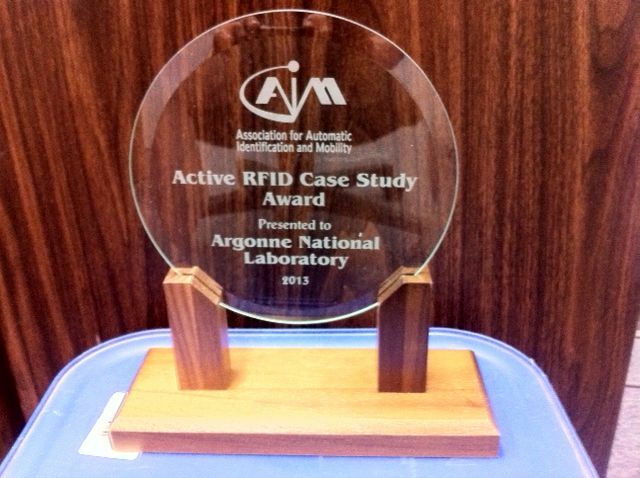 Congratulation to the Argonne National Laboratory for winning the 2013 Active RFID Case Study Award presented by AIM (Association for Automatic Identification and Mobility). 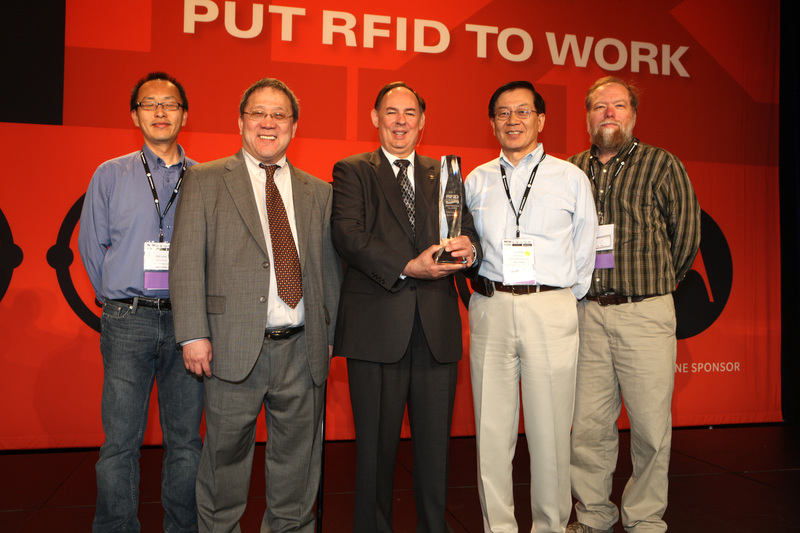 Congratulations to the Packaging Certification Program (PCP) RFID Team for being selected as one of the 100 World's Best Technologies (WBT) for 2011. The U.S Department of Energy is a Technical Board Advisor of the DASH7 Alliance. The DASH7 Alliance is a consortium of leading RFID industry players, gathered to advance the use of DASH7 wireless data technology by developing extensions to the ISO 18000-7 standard, ensuring interoperability among devices, and educating the market about DASH7 technology. Drs. Yung Y. Liu, ANL/PCP Team Leader, and James M. Shuler, Manager, DOE Packaging Certification Program, are on the Technical Board of Advisors to the DASH-7 Alliance. The DOE Packaging Certification Program (PCP) now has available an RFID tracking system for the management of nuclear material packages during storage and transportation. The system, developed by Argonne National Laboratory, involves hardware modification (e.g., form factor, seal sensor, and batteries), application software development, secured database and web server development and irradiation experiments. Argonne tested key features of the RFID tracking system of nuclear materials packagings in a recent week-long, 1700-mi demonstration. Both the hardware and software platforms were verified to be stable and to meet performance requirements. The PCP and supporting national laboratories are working on several RFID system implementation projects within the DOE Complex, along with continuing device and systems development and widening applications. For details on the PCP RFID system, see the following video, papers and reports.